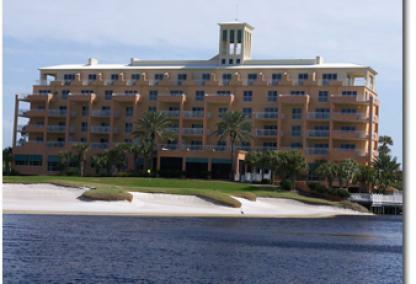 Time to sell your Gulf Shores golf course condo? Read about today's resort-market buyer. 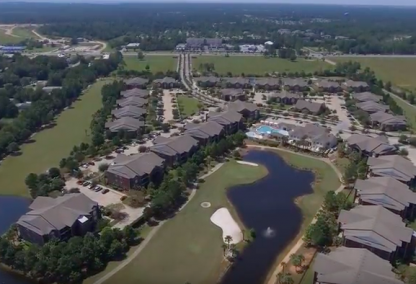 Additional search options: browse Gulf Shores golf courses condos using price and find real estate statistics, such as square footage costs, average list price and more with our Gulf Shores golf course condo stats. 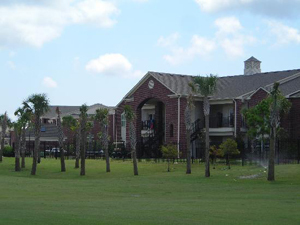 Cypress Point Condos are in Gulf Shores, AL on Craft Farms golf course. Craft Farms is 36 holes of championship golf designed by Arnold Palmer. Craft Farms is a huge part of Gulf Shores with large shopping centers, restaurants, and entertainment venues all settled in one central area. Cypress Point condos for sale at Craft Farms in Gulf Shores. 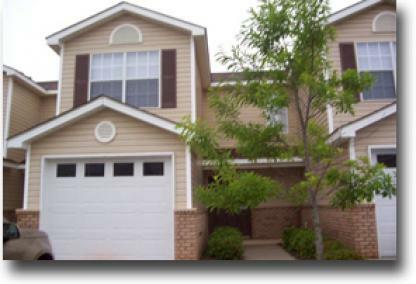 Fairway condos in Gulf Shores are located on the Gulf Shores Golf Club in central Gulf Shores, AL. The Gulf Shores Golf Club was renovated recently and is a great course. Fairway condos for sale in Gulf Shores, AL. Peninsula condos are located at the Peninsula golf course on Fort Morgan road in Gulf Shores, AL. 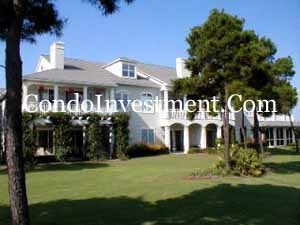 Peninsula is 18 holes of beautiful manicured golf course along the shores of Mobile Bay. Peninsula is a personal favorite and a must play course for an avid golfer. 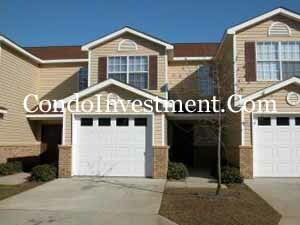 Peninsula condos for sale in Gulf Shores AL. 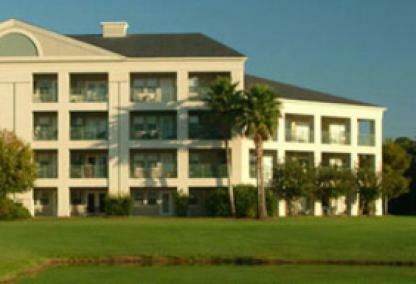 Raquet Club condos are also on the Peninsula golf club in Gulf Shores. Racquet Club condos for sale at Peninsula in Gulf Shores Alabama. Regency Club condos in Gulf Shores are also located on Gulf Shores Golf Club. Regency Club condos for sale in Gulf Shores, AL. 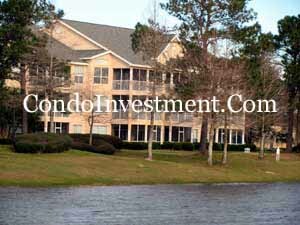 The Links condos are another condo development on the Peninsula Golf and Racquet Club in Gulf Shores, AL. Click here to see The Links condos for sale in Gulf Shores, AL. The Links condos for sale in Gulf Shores at the Peninsula. Kiva Dunes is home to one of the nicest, most challenging golf courses in the area. Kiva is also home to numerous condos (Gulf Shores Plantation) and real estate. 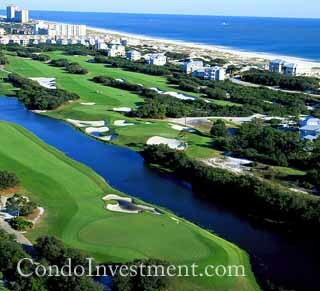 Kiva Dunes condos for sale. Emerald Greens has an amenity that no other condominium can claim. The condos at Emerald Greens share their very own golf course. Residents here are allowed to go out and play golf for a cart fee any time they choose to make a tee time. 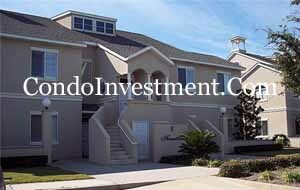 Emerald Greens condos for sale in Gulf Shores AL. Kiva Lodge is approximately 12 miles West on State Hwy. 180 in Gulf Shores, AL. This area is commonly known as Fort Morgan and is the peninsula that creates much of the Alabama's Gulf Coast. Two of the area's best courses are within 4 miles of one another and offer golf along the Gulf of Mexico (Kiva Dunes) and also along Mobile Bay (Peninsula). Condos for sale in Kiva Lodge in Gulf Shores Alabama. 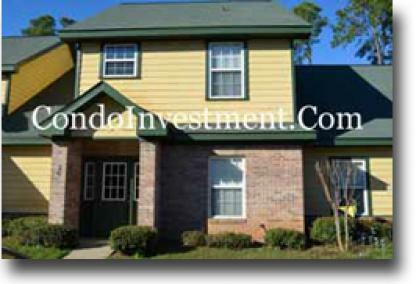 ReadBuilt in 2005, Cypress Point Condos are located on Craft Farms golf course in Gulf Shores. Craft Farms is 36 holes of championship golf designed by Arnold Palmer. Cypress Point offers two or three bedroom condos with onsite amenities including a clubhouse, outdoor pool, and BBQ area. The complex is right off Hwy 59 and close to large shopping centers, restaurants, and entertainment venues in Gulf Shores. It is approximately a 10 minute drive to downtown Gulf Shores and public beaches. ReadEmerald Greens are located at the intersection of Hwy 59 and County Rd 6 or "Oak Road". This community has 40 townhome-style condos and is surrounded by it's most liked amenity - a 9 hole golf course. The course is free to residents with a small fee for golf cart rentals. Emerald Greens is approximately 2 miles north of the intracoastal bridge and minutes from the beaches. Nearby is the Pinnacle Shopping Center which has a Target, numerous restaurants, movie theater, and various shopping venues. 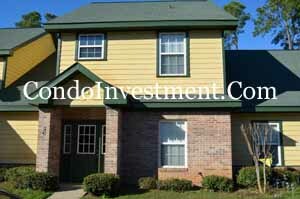 ReadFairways Condos are located on the Gulf Shores Golf Course right off Club House Drive. These are beautiful townhome-style condos offering two, three, and four bedroom plans ranging from approximately 1,000 to 1,700 square feet of living area. The complex is surrounded by beautiful landscaping and quick access to Hwy 59 making it a short drive to shopping centers, grocery stores, and restaurants. ReadKiva Lodge is located on the famous Kiva Dunes Golf Course just off of Fort Morgan Road in Gulf Shores. These condos are just a short walk away from the Gulf of Mexico and Mobile Bay is across the street. Floor plan options include 2BR/2BA, 3BR/3BA and 4BR/4BA and range from 970 - 1,962 sq. ft. Amenities include a community pool, club house, tennis courts, and a grilling area. Kiva Lodge is approximately 10 miles east of Fort Morgan and about a 20 minute drive to downtown Gulf Shores. ReadThe Links Golf Villas is an exclusive gated community on the Peninsula Golf Course, which sits between Little Lagoon to the south and Mobile Bay to the north. 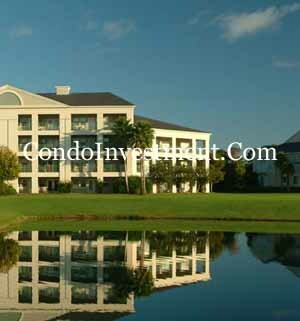 These condos are located on the first hole of the golf course and within easy walking distance of the club house, outdoor pool, and tennis courts. The Gulf Shores Hangout and public beach access is just fifteen minutes away, as are numerous restaurants, entertainment venues, and shopping centers. 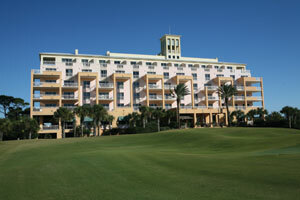 ReadRacquet Club is located on the Peninsula Golf Course on Fort Morgan. The condos are near the pro shop and the first tee on the Marsh nine. Residents here enjoy all the amenities on the golf course, including the mile-long pier that runs out into Mobile Bay. The Racquet Club condos are approximately 10 minutes from downtown Gulf Shores.